A year ago, my chest felt heavy and I found myself worried about my firstborn — because I was enrolling him in school. I felt like I was going to lose control over who and what influenced my child; like I was choosing to institutionalize my son, and once he was in school, there would be no turning back. These emotions may seem extreme, but they were real. I share them in case there are other moms who think they are being dramatic in having anxiety about sending their children to school. To those moms: please know that you’re not alone and you’re not crazy, You are a human with emotions and so much love to give. I didn’t quite know what to do to overcome my anxiety, and found myself stuck in a cycle of doubt and indecisiveness. Without realizing it, though, my instincts took over and took care of me. 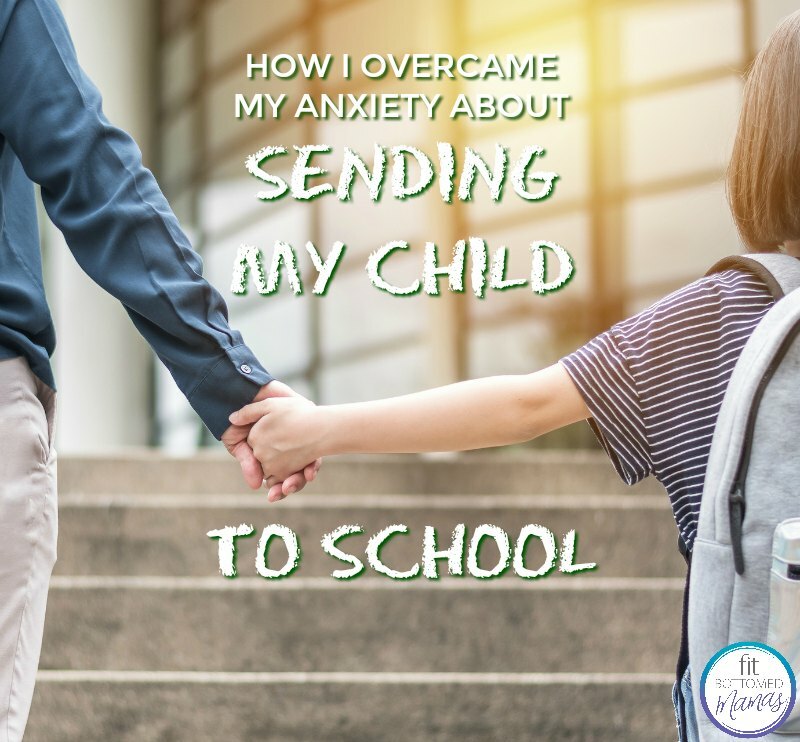 Here are three things that helped me overcome my anxiety about sending my child to school. 1. I took a tour. I scheduled a tour of what would be my son’s school before deciding to enroll him. I included my son by asking him if he wanted to attend the tour with me; he said yes. My son and I met with the principal, who showed us the classroom my son would be in. She allowed my son to look around for himself and touch things that called his attention — it helped that the classroom was empty because it was less overwhelming for both my son and me. We also got to visit the library, cafeteria, garden area, and playground, plus we met the teacher who would be teaching my son. Seeing my son flow so well through the school and hearing him ask the principal questions made me more confident in sending him to school. 2. I accepted support from my husband. I was vocal about my anxiety to my husband. My husband supported me by asking me questions to help me reflect on why I was feeling so worried. One of the most important questions he asked me was, “Do you feel confident in how you are parenting?” This was a tough question to answer. Was I parenting well enough to equip my son with the tools to be safe, kind, productive, etc. in school? It took some ample reflecting to decide if I was confident in my parenting. I eventually accepted that I’m doing my best, so I have to trust that my son will do his best, too. 3. I reached out to my tribe. I also reached out for support from my tribe of female friends and fellow mothers. A helpful part about having a tribe of women in different stages of their lives is that I received different perspectives — plus, I was exposed to options that my anxiety was inhibiting me from considering, like becoming involved with my son’s class in order to be aware of what is going on at school. Now, with a school year under my belt, I look back at the anxiety I felt and am happy I took the time to acknowledge and work through my concerns. It definitely takes a village to overcome challenges and raise a child — or in this case, to send a child to school.